We used this film to fulfill class requirements for a production class that Jake was taking, and a visual effects class that Rene and I were taking at the time. Jake directed, Rene and I produced. 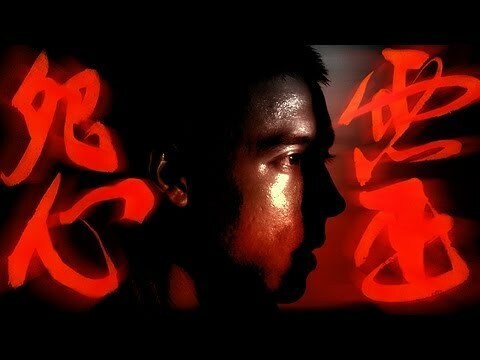 For our classes, Rene focused on the special effects action shots, and I focused on the subtitles and Asian calligraphy. 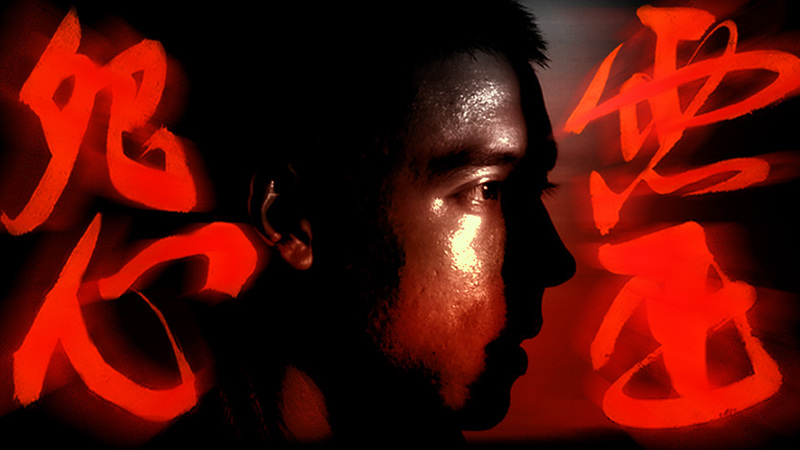 I don’t speak or understand Japanese, so it was a very interesting process working with my Japanese friend, Hiroki (who also plays one of the samurai in the film), to translate the film into English and position the words in a way so that a viewer could read the subtitles and still see the rest of the picture (a style popularized by the great Tony Scott film Man on Fire). 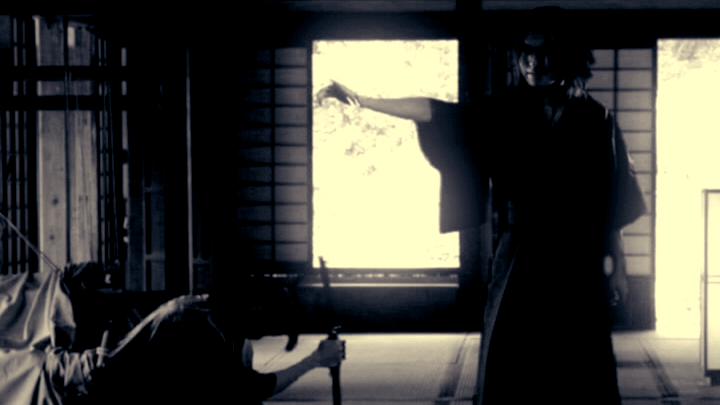 We were able to borrow equipment from our film department, some costumes from the theater department and free labor from fellow students actors and crew members, but since we were setting the film in feudal Japan, we needed some money for the rest of the costumes, props, and location fees. The full budget ended up being $2700, all of which we were able to crowdsource from our parents and fans/friends. This took a total of 10 weeks to complete (from start to finish), which is the duration of one quarter at UCSC. Our very talented friend, Maihien, single-handedly found and produced all the costumes, and did all the hair and makeup for the cast. We scoured the web for Japanese prop swords, bows and arrows and found all the materials needed for creating Japanese flags and key period set dressing. The majority of the film was shot on campus in the UC Santa Cruz fields and at Hakone Gardens, but key portions (all of the black and white flashback scenes) were shot entirely on a green screen stage with the background created by Rene in Photoshop and composited into the shot in post. For the incredible music, we were very fortunate to find Sid from the Netherlands (thank you interwebs!) to do the musical score for our film, we had previously worked with him on Praxis and Clues. Oh, and I also played a very small role in this film as a peasant, did you see me? Here’s Linus, me and Rene going over the script for the day. 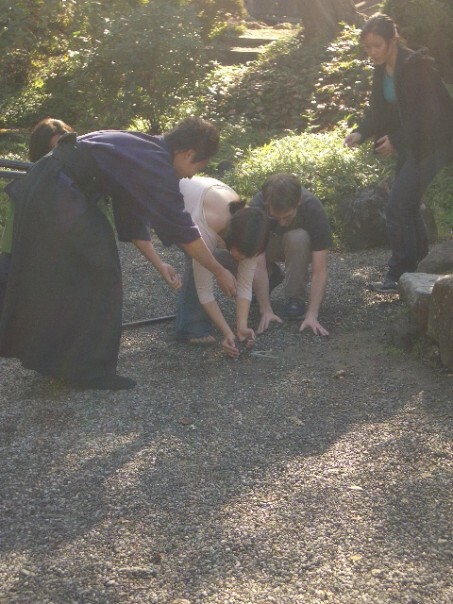 Hiroki, Maihien, Jake and I covering up a utility box in the ground at Hakone Gardens to maintain period consistency. 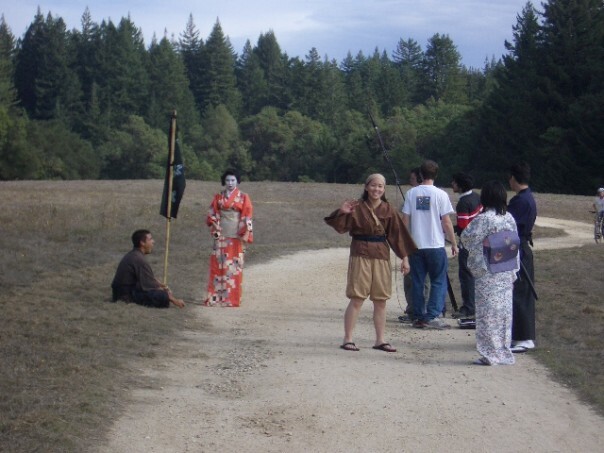 That’s me as a peasant extra waving hi to the camera while the cast and crew prepare for a shot. Me as a peasant extra, age 21. This was a very pivotal film for Rene and me. After we produced this piece, which incidentally got us very high grades for our VFX class, I think we realized that we could potentially do any genre we wanted and that VFX was indeed a powerful tool we could wield to please audiences. The film we tackled after this was a sci fi epic short, and I don’t think we would have felt confident enough to do so if we hadn’t made this one. What do you think of the film? Did you like my genius work on the subtitles? Yay or nay?